Ecuador’s stunning diversity—sun-drenched coastline, towering Andes—makes it a tricky destination to pack for. 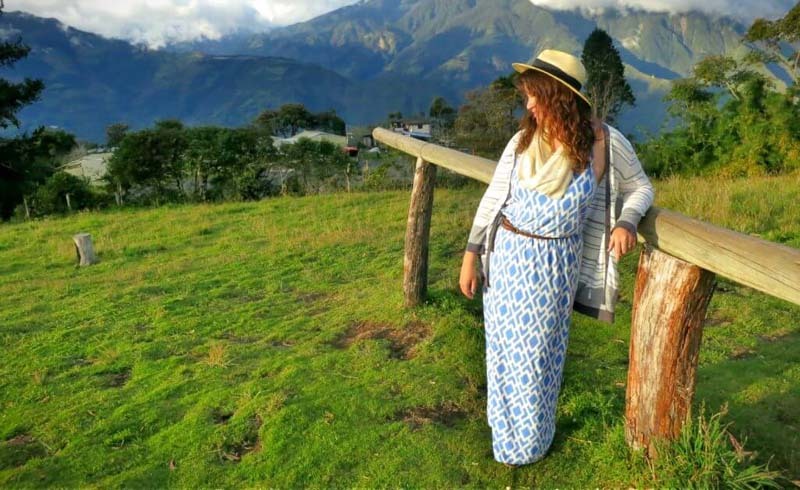 Ecuador is an exciting destination full of opportunities for both relaxation and adventure. But before you get on the plane, you’ll need a packing strategy that covers a variety of activities. Read this before you go. Think about what time of year you’re traveling there—different seasons necessitate different clothing and footwear. Pack clothing that does double duty—a scarf you can use as a sarong at the beach, for example. Pack in a backpack-style travel pack rather than a traditional suitcase, for ease of travel on buses and boats, and unpaved roads. Plan ahead. If you’ve booked any kind of hiking, camping, or nature excursion, be sure to think through what you’ll need for it, whether it’s sunblock, eco-friendly toiletries, or rugged hiking boots. Let’s start with the obvious: Where you’re going makes a difference in your packing strategy. 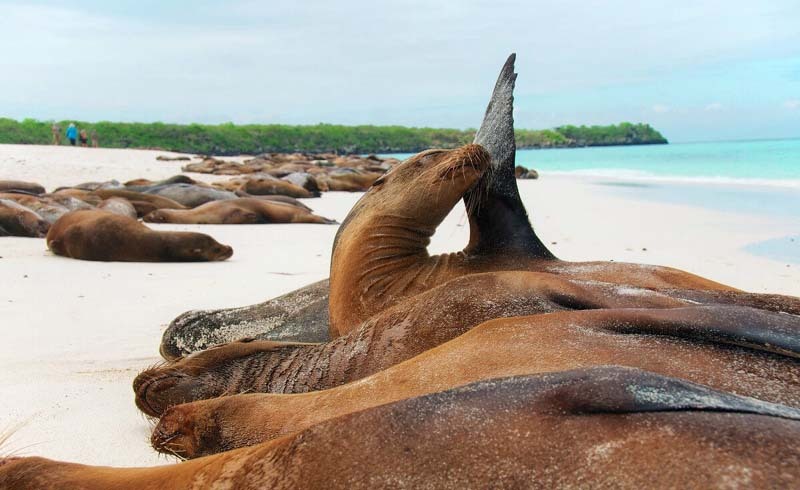 Heading to the Galapagos? Bring a swimsuit during the summertime (swimming around the islands is fantastic!) and a light windbreaker or sweater in the winter. If you’re heading into the jungle, stock up on quick-drying clothing — the rainy season is long. A poncho or light raincoat is almost mandatory. For the Andes, including the popular Cotopaxi National Park, pack plenty of warm clothing; it gets chillier the higher up you go. Good hiking boots, naturally, are a must-have. On the temperate coast, you can get away with t-shirts and shorts, plus one or two long-sleeved shirts for the evening. The one constant among Ecuador’s many environments? The weather varies from day to day. Choose clothing that makes the transition from cool to warm easily. Long-sleeved shirts made of light material are a safe bet, not only for warmth but also for keeping bugs away. Pants made of lightweight, quick-drying material work well on the coast and in the jungle. Choose just one or two sweatshirts or sweaters and wear them repeatedly, as these will take up valuable room in your bag. Select shoes for versatility and comfort rather than fashion: A pair of reliable walking shoes will take you just about anywhere you need to go. Add one pair of sandals if you visit the islands, and hiking boots for treks through the Andes. The right bag is the basis for good packing. A backpack-duffel or travel backpack is better than a hardsided bag. Hardsided bags will quickly become a pain on Ecuador’s uneven roads. This is not the time to break out your 4-wheeled luggage, as your bag will likely be slung on top of busses and trucks. Bring a smaller backpack, to use as a daypack for adventures to the islands, in the jungle or on trips to the coast. If you’re traveling long-term, don’t worry about basic toiletries like toothpaste and soap — you’ll find familiar brands in Ecuador’s shops. If you have favorites you want to bring, save money on minis and get refillable silicone bottles. In the Galapagos, you might be required to bring special, eco-friendly/biodegradable toiletries; inquire with tour providers before your trip. If you wear contacts, bring a few extra pairs just in case. A small medical kit with pain medication (like Tylenol or Motrin), antiseptic cream, and pills for an stomach upset is always a good idea. Insect repellent — and, in some cases, anti-malarial medication — is important for jungle treks. Consult your doctor before any vacation. As always, leave some room for extra gear. A pair of inexpensive binoculars is key for bird-watching or exploring the jungle. A water purifier and a reusable water bottle make rustic trips easier. And sun protection is a big deal — sunscreen is necessary, along with a good sunhat and clothing with UV protection. Bring copies of your passport to carry around in case of random police checks. Another must-have? Pack-It Compression Sacs for keeping items dry when the rain comes down. And last but not least: Pack a roll of toilet paper. Take the cardboard core out and it will fit nicely in your bag. What you don’t want to carry are any unnecessary valuables — leave your nicest jewelry at home.